Whether you’re moving house and want to make sure that your new home is outfitted with a powerful cooling system, or you find that your existing commercial space has a number of indoor air quality issues, we can assist you. For over 30 years, Advantage Air Conditioning of the Treasure Coast, Inc, has offered comprehensive residential and commercial air conditioning, heating and indoor air quality products and services throughout the greater Fort Pierce area. Call today to schedule service. Advantage Air Conditioning of the Treasure Coast, Inc provides residential and commercial air conditioning, heating and indoor air quality services in Fort Pierce, FL and the surrounding areas. When it comes to cooling here in Florida, we know that you cannot settle for weak and inefficient systems. Whether you live in a large or modestly sized home, you need to make sure that every part of your living space is comfortable throughout the long hot and humid summer. To do so, you need only call on the expert HVAC technicians on our team. We offer air conditioning installation and replacement services for a wide range of systems, including central air units, heat pumps, ductless mini splits and solar air conditioners. 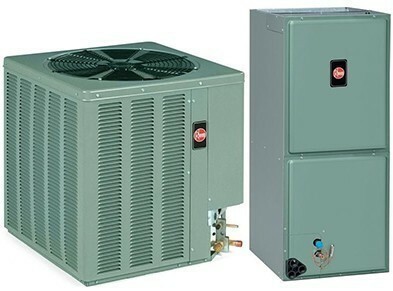 We can also take care of your air conditioning repair or maintenance service needs. While you probably don’t use your gas furnace as much as your central air unit, it’s imperative that your heating system be ready to go when the temperature begins to drop. Our heating services are exceptional, and we spare no effort at making sure that you have everything you need, whether that’s the installation of a new system from scratch, an immediate replacement, repair or routine maintenance. Our heating services are comprehensive, so don’t hesitate to reach out to our team today. It’s incredibly important that the air you breathe indoors is of high quality. That means having control over the humidity levels therein as well as eliminating any airborne contaminants or pollutants from your air space. Fortunately, we offer a number of different indoor air quality solutions that can provide you and your family with the pure air that you deserve. All you have to do is let us know what you need and we’ll provide it. We offer a number of different pool heaters for installation and replacement. There are few amenities more prized during the summer than being able to cool off in the backyard, but if you want to truly maximize your pool, then make sure you have the ability to control its temperature quickly and accurately, even on those chilly cloudy days. From pool heater installation to repair and maintenance, we can help you make the most of your pool. No matter what type of business you run or commercial space you manage, you need to make sure that you have an effective and efficient commercial and industrial HVAC system installed. We offer a number of different makes and models, each of which can be customized to suit your heating and cooling needs. Not only do we install and replace new HVAC systems, but we also offer HVAC repair and routine maintenance.